As I was researching this two-part series on the media and hockey, my original intent was to discuss the quality of information and reporting standards first, followed by a examination of the gap between the mainstream and the blogosphere. However, with Greg Wyshynski’s recent discussion of certain teams’ efforts to have bloggers banned from their locker rooms, and the responses that arose from that article, it seemed prudent to switch the order. Speaking of those responses, a few merit special consideration. Justin’s well- articulated article at The Goalie Guild provides sound advice to bloggers wanting to achieve recognition from both their peers and club management. Jeff Quirin provides a nice synopsis of the high-level arguments at the Bluenote Zone. Last, but certainly not least, Washington Capitals’ owner Ted Leonsis chips in with his own passionate defense of the bloggers’ role in covering the NHL today. As intriguing, pointed and valid as these posts are, they truly represent relatively minor spats in a far more fundamental argument. While the purported NHL policy is short-sighted and misguided, broad references to “bloggers” and “mainstream media” also skirt the central issues. This two-part series is intended to re-focus the discussion and perhaps alter perceptions of the debate, as there are some widely divergent interests in play here. Before plunging headlong into the abyss, let me disclose my particular path here, so that any perceived biases can be dealt with up front. An attorney by trade <brief pause to permit booing, hissing and tossing of vegetables>, I began blogging a few years ago, devoting my time to our local Columbus Blue Jackets. I leveraged my business/legal background to provide a more analytical approach to some of the thornier issues (the arena controversy, coaching changes, player moves, etc. ), and spent a lot of time researching my articles. Those efforts attracted some notice by more prominent internet sites, and ultimately resulted in my current post with The Hockey Writers, covering the Blue Jackets and providing analysis of hockey issues in general. Through THW, I am credentialed by the Blue Jackets, (one of several THW writers credentialed by their local franchises). 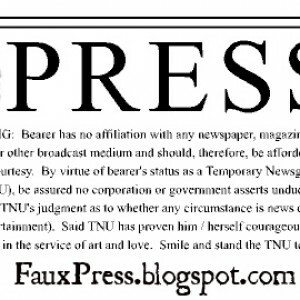 I maintain my blog, Ten Minute Misconduct, which I use for less structured, more off-the-cuff commentary. I receive no compensation for my writing, and do it because a) I love hockey, b) I love to write and c) I believe (perhaps erroneously) that I can bring a unique and reasoned perspective to the debates. With the preliminaries out of the way, let’s dig into the substance, first identifying the interested parties and how those interests are being served. distributed to the fan base. Whether we are talking about “mainstream media” or “bloggers”, they serve the same function: accessing, processing and distributing information. While they may do that in different ways, and with vastly different results, the essential nature of the function is identical. 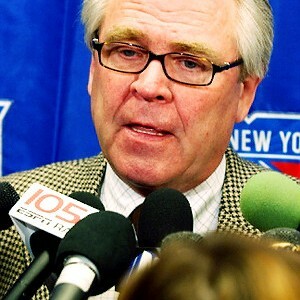 The NHL franchises themselves are the purveyors of the raw information needed for the media to process. While certain aspects of that information are readily available (i.e. anyone can watch a game), others, such as access to players and front office personnel are controlled. (More on this later). However, while the franchises all occupy the same link in the food chain, their interests can and do diverge substantially. Thus, you have teams like Edmonton and the New York Rangers, on the one hand, who seek to stifle the bloggers from having access, and Ted Leonsis and the Capitals on the other, who embrace (and actively employ) the emerging media as a welcome development that creates fan interest and boosts the popularity of the game. In my discussions with colleagues around the country, franchises have adopted approaches to the emerging media consistent with their own individual interests — some restrictive, some expansive, many in between. The NHL itself may or may not be viewed as having a substantial interest in the dispute. On the one hand, the league is interested in looking after the best interests of its franchises, and perhaps protecting the interests of its media partners. On the other hand, the NHL is dying for exposure and increased fan interest. Turning to the media themselves, neither “mainstream media” nor “blogger” are helpful terms, because they encompass so many different species. MSM includes print media (newspapers, magazines), radio and television enterprises (as well as the online branches that those entities have spawned.) Each of those branches of MSM, in turn, have their own appeal and are used differently by the fan base. I don’t rely on the TV or Radio game broadcasts for statistics or box scores. Similarly, I can’t use a newspaper to provide the immediacy of the game experience or the intangibles that make the stat line misleading. Depending upon the game, the situation and my location, I may prefer radio to television, or vice versa, or might turn the sound off the TV and use both. Each format provides a different aspect of the experience, and no single outlet can be all things to all people. The blogosphere, on the other hand, presents a dizzying array of content, with the only common factor being the Internet as the medium of transmission. From largely anonymous personal blogs, with only tangential relationships to hockey — to ardent fan sites, replete with profanity-laden opinions and comments — to more comprehensive and “serious” sites, encompassing the full spectrum of hockey — all of these are tagged with the “blogger” moniker. (I much prefer “emerging media” to describe online vehicles of communication) Yet, as with the MSM, the medium serves different aspects of the hockey experience, from hard “news”, to pure entertainment. After all, we are talking about hockey here, not peace in the Middle East — there is room, and indeed need, for levity from time to time. Emerging media, to my mind, fill a gap between the immersive and immediate experience of a television or radio broadcast, and the static, more reflective nature of the print media. The fallacy in so much of the discussion that takes place concerning MSM vs. emerging media is that it focuses on the medium, rather than the message. There is nothing inherent in the internet protocols that mandates a different degree of accuracy, integrity, news or entertainment value. It matters not one iota whether the message is conveyed by ink, photons, sound waves or pixels. Yet, that is how the dispute is often posed. Alternatively, clubs will raise the issue of control , most frequently dealing with issuance of credentials and access to players and press conferences. Again, however, this is largely a red herring — a symptom of the underlying problem. For most franchises, access for the traditional media is a relatively controlled and finite process. There are only so many radio, television and newspaper outlets in a given market, and franchises have varying degrees of control over the personnel involved in that coverage. Those media outlets operate within a highly structured environment — deadlines, restricted column inches or broadcast time, etc. In practice, deference is usually given to these outlets in press conferences and locker room chats, due to the existence of those deadlines. It is the very size and amorphous nature of the emerging media contingent that poses a problem for many franchises. Given that internet access with some form of input device is the sole prerequisite for blogging, sheer numbers preclude media access for every member of the emerging media. Only so many bodies fit on Press Row, in the locker room, or in the Press Conference venue. There are rules of decorum, and there is an institutional nervousness about having hordes of Mountain Dew- fueled bloggers annoying the players and embarrassing the franchise. As many of the recent commentators have observed, many of these characters don’t desire that access in the first place, and are content to voice their opinions unfettered by restrictions, and, in some cases, facts. To their credit, a number of franchises have taken the time to monitor the emerging media and establish internal criteria for credentialing members who have demonstrated responsibility, ethics and quality in their reporting. Others franchises, however, have abdicated that responsibility and have fallen back on the broad brushed “blogger vs. mainstream media” distinction to simply bar the emerging media from any form of access, without any sort of qualitative analysis. In this way, they perpetuate the myth that there is something inherently unreliable and uncontrollable about the internet medium. The purportedly proposed NHL policy quoted in Greg Wyshynski’s later piece is misguided and tailored essentially to cater to existing traditional media outlets having web-based components. Two requirements of that proposed policy — that the individual be part of a “national news gathering organization”, and that the organization “employ full time journalists” pretty much wipes out the vast majority of the emerging media. Again, this is a mere perpetuation of the myth that internet based media are somehow inherently inferior. Franchises such as Washington, the N.Y. Islanders and Columbus have shown that emerging media can be successfully incorporated into the media mix with reasonable controls and a modicum of effort. That same spirit of accommodation can address any concerns over access to visiting players and personnel. 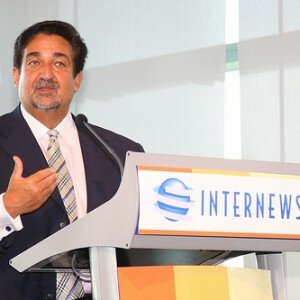 The entire debate over bloggers, mainstream media, credentials, access and control ignores a fundamental reality — which Ted Leonsis and others have readily grasped — namely, that the emerging media exists, and is performing the same functions as the traditional media — collecting, processing and distributing information on the great game of hockey. Sure, credentials and access are a benefit and a recognition of sorts, but these are not the alpha and omega of the task. By framing the debate as “Internet vs. Traditional”, detractors are effectively shooting the messenger, based not on the content, but on the manner of delivery. Instead, the real issue involves the message itself — the product of that acquisition and processing of information. What rules and standards were applied to generating that product? What is the quality of the result? The viability of any media effort, whether expressed in words printed or spoken, televised or streamed, is ultimately dependent upon the message that emerges. That represents the real issue . . . and also represents the subject of Part II: The Media and Hockey: Cascading Misinformation.